I noticed nobody seem to be actively running a facebook page for the GR20 any more, so here is a new one. Please post and share. Let me know if you would like to administer. Great page, videos, photos. Particularly impressed by photo of grasshopper. Well done. 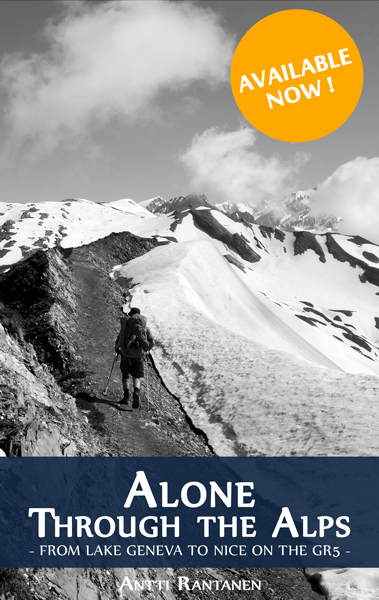 Which walk did you find more challenging: Alpine Pass Route or GR20? Yes, I understand the difference. I walked between Brusti and Lauenen on the APR. There was no scrambling and the services were plentiful, as you have said. I think that you will find the West Highland Way pretty easy compared to these other two paths. I am sure that you plan to climb Ben Nevis at the end of the trail. Heh, yep the WHW could be much easier compared to those two but it doesn’t have to be always so demanding. I’ll have only one week at that time so I’m looking something easy to access. Never been in Scotland so why not:) I’m considering some variations though, as there is this Highland High Way going next to it, maybe following it some days if the weather is alright. And yes Ben Nevis if all goes well. The weather in Scotland has been swinging between 25oC and blizzards – so it could be an interesting walk this spring! Services are fantastic along the route though, you are never really far away from a pub! Have you already chosen a trail for this year? I think the GR11 is very nice! Not yet, but I think this year it won’t be that long as the gr11. Thanks for the tip! I’ll keep it in mind. unfortunately i`ve registered here on your site with my old email 😀 … you can imagine what happend *hahaha*! I`ve read the news about your book and I am very impressed. Now I`ve two options: learn your language or wait till you publish your book in english ;-). Last year, we walk the Alpin Pass Route (Green Via Alpina) and a lot of other hiking trails in switzerland and italy (between 1200 and 1300 Km). This year we walk the GTA (Grande Traversata delle Alpi) from the first stage (Alpe Cruina, Switzerland) till Alagna (Piemont, Italy – Stage 17). 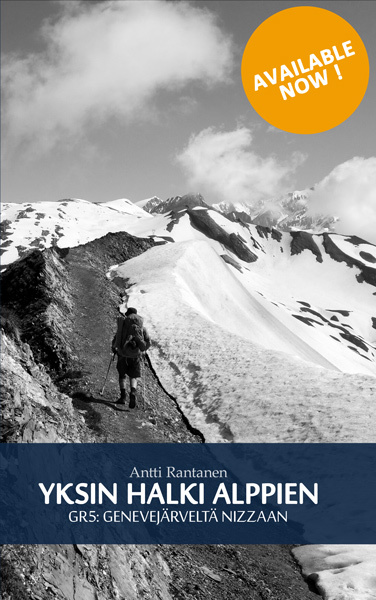 Wish you all the best with your book and of course all the best in 2015, lot of hiking adventures and when you wanna come to switzerland … be my guest. Thanks for sharing the photos, really inspiring stuff! GTA is also on my list. Will be great to hear your experiences after the summer! I have a suggestion for your next long distance walk. SCOTLAND’S NATIONAL TRAIL is 864kms from the Scottish Borders to Cape Wrath. It’s difficult! 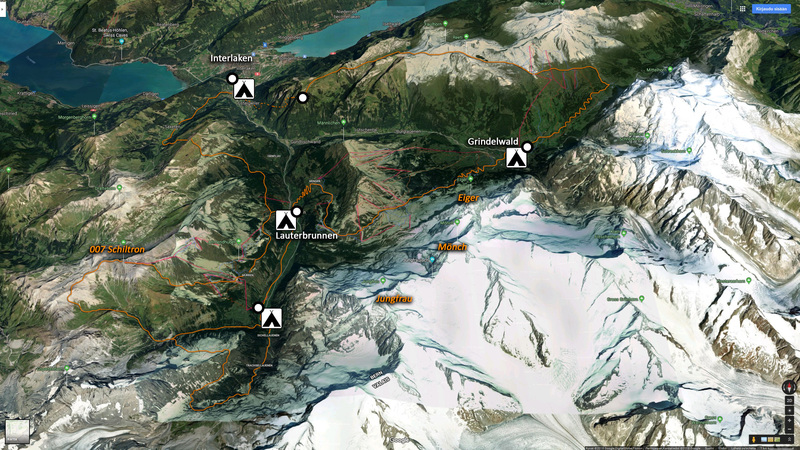 I plan to walk the GR5, starting 6 August, 2015. I have been using your blog, along with Paddy Dillon’s book to plan the trip. Thanks for the suggestion. Actually I hhave bought that “guidebook”, Scotland – End to End by Cameron McNeish. Seems inspiring and tough trail as you said. I haven’t read book well through though… definitely on my to do list, but another year! I’ll be heading to Pembroke in few weeks, exciting! Good luck planning your GR5, and please don’t hesitate to ask any advice if needed. How was the GR20 last year? Has anything changed.. same services, same trail, same amount of people? GR 20 was great last year. I leave on 5 August to walk from St Gingolph to Menton. Can you tell me if there is any way I can download maps for the walk? The TOPO25 are too expensive. I’m not sure if there’s any easy way… OpenStreetMap has informative presentation of trails in the area, maybe it could help? I used four IGN 1:100 000 maps which were not that expensive in my opinion and served well together with a guidebook. Thanks Antti, I’ll try the site you’ve suggested. I appreciate you replying. Thanks also for your good wishes. I am a hiker from China. I planning to walking Pembrokeshire Coast Path end of Jul 2015. Do you have the map for this or any book suggest. I used the Trailblazer guidebook and it was very good. No other maps were needed.